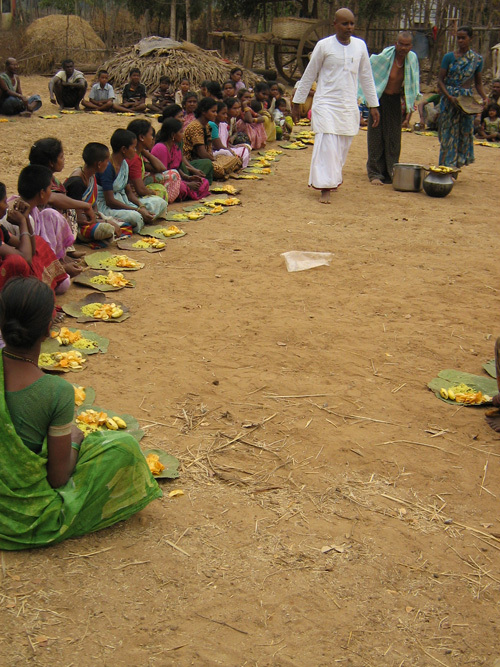 If you live near to Vizianagaram and would like to help as a volunteer involved in the cooking or distributing of food, please contact us, as currently there are only two ashram devotees who are taking responsibility to do all of the work involved. 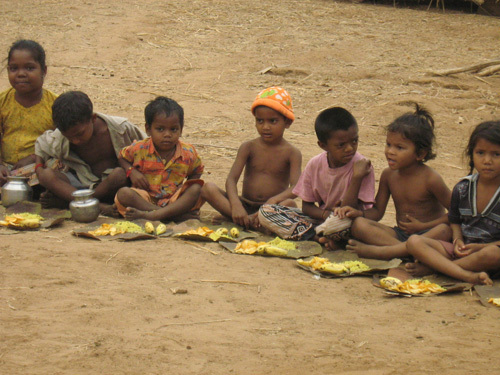 If there are more volunteers it will be easier for us to expand the relief activities and provide better services for the poor. 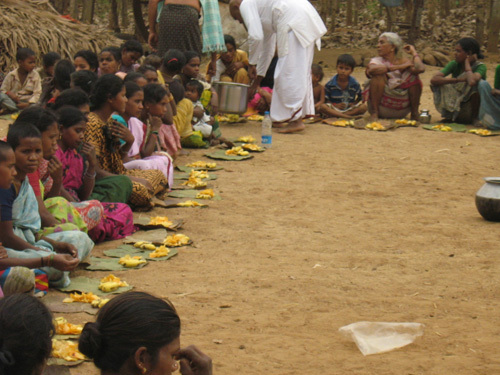 Below are some photographs of our inaugural food distributions in the villages of Dongirivalasa and Ramannadoravalasa. 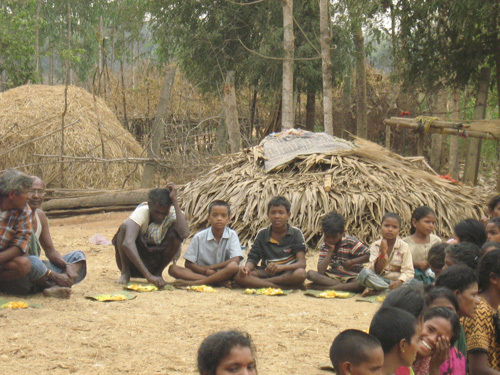 These are both poor tribal villages where the inhabitants live by collecting fire wood from the forests, and then selling it in the nearby cities. 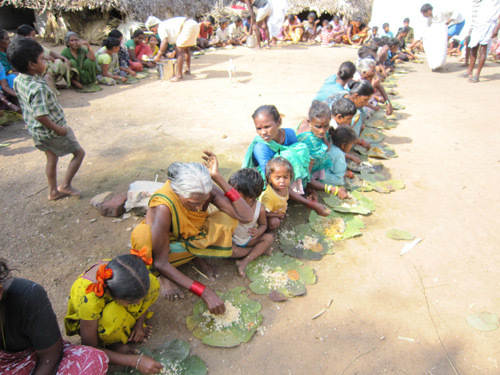 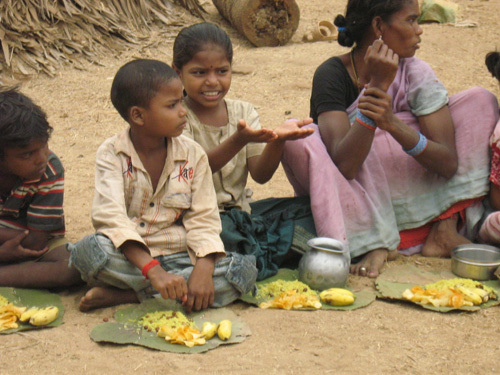 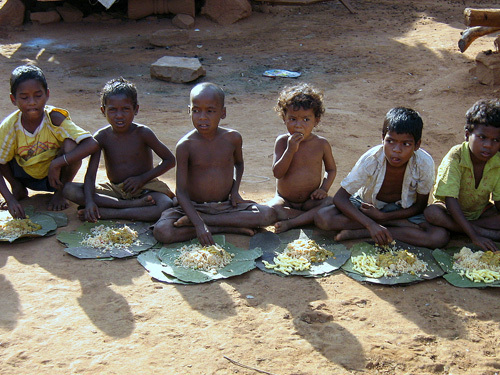 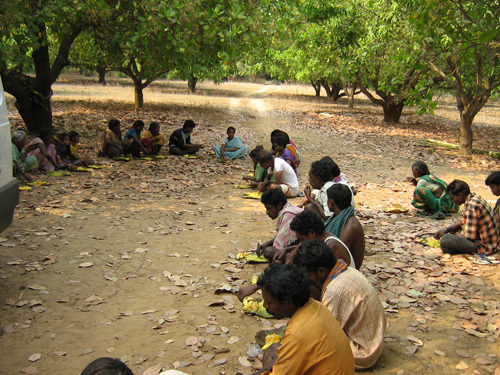 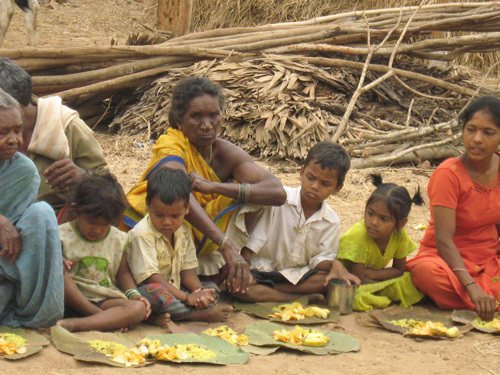 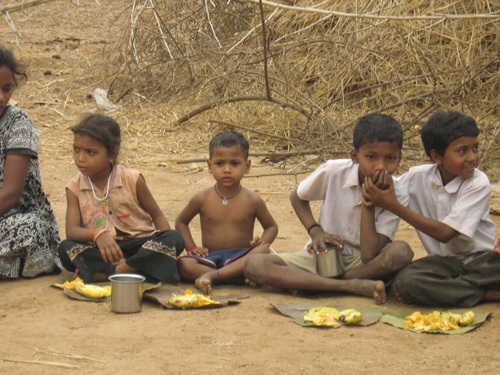 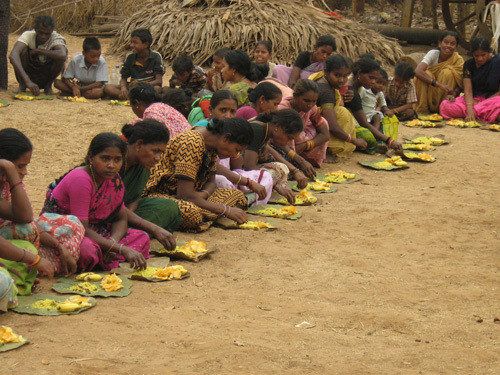 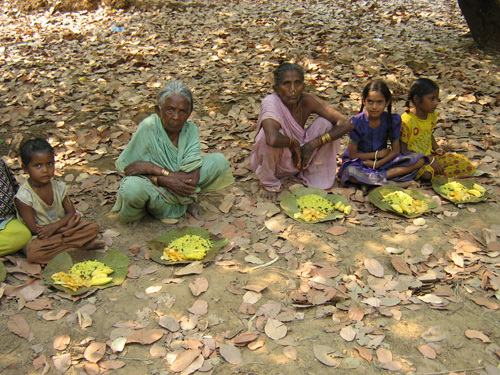 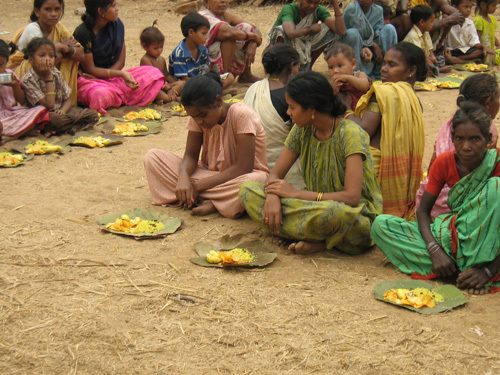 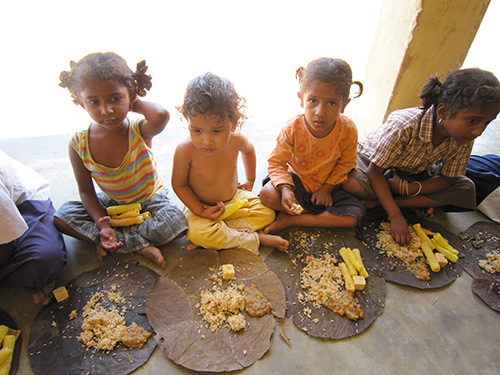 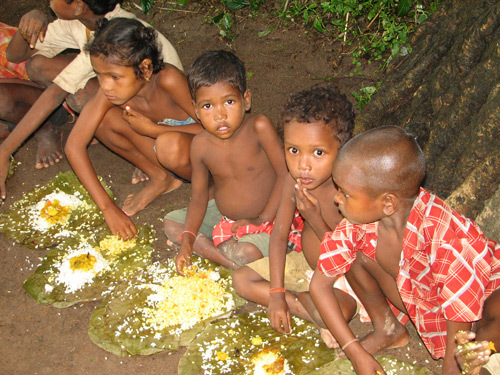 Our aim is to provide free spiritual food (prasadam) to the children and mothers of these villages to help alleviate nutritional deficiencies. 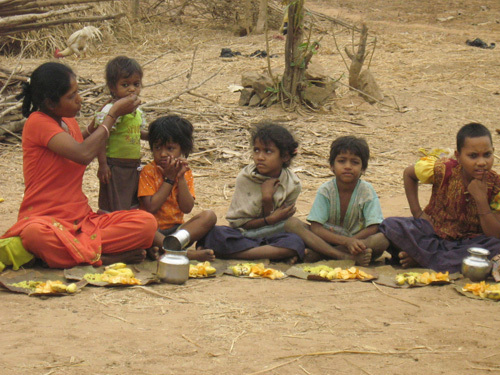 Simultaneously we will also be assisting the villages by providing wells for drinking water, as well as finding bright needy children who lack the financial necessities for basic education. 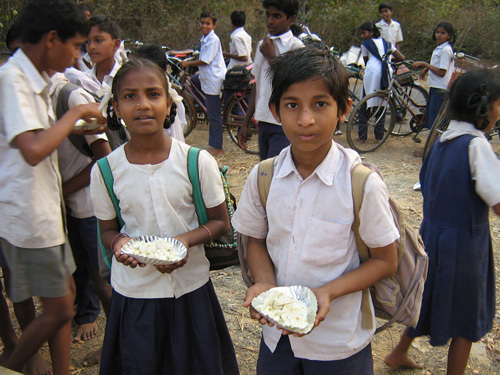 We have also begun distributing a nutritional snack to school children every morning in front of our Ashram at Vizianagaram. 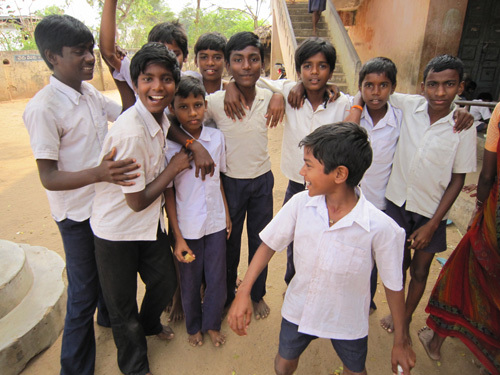 Each day more than 1,000 rural children walk past our ashram on the way to attend government schools. 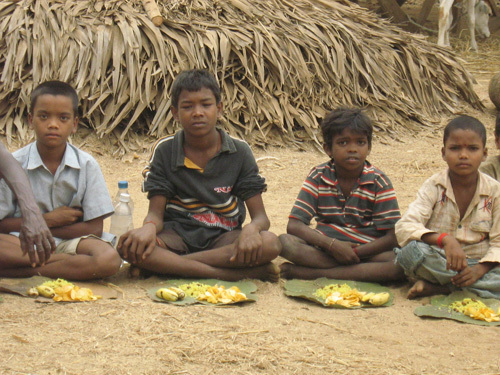 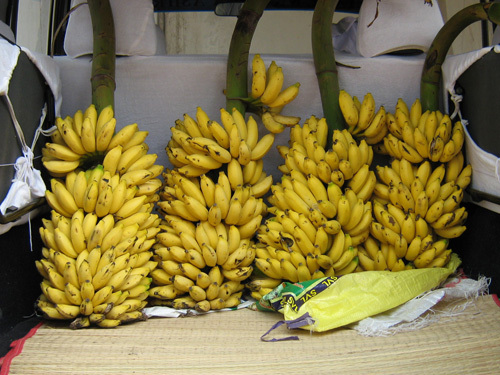 Though they do not have time to eat a full meal, they are very happy to receive a tasty nutritional snack that they can carry with them on their way to school. 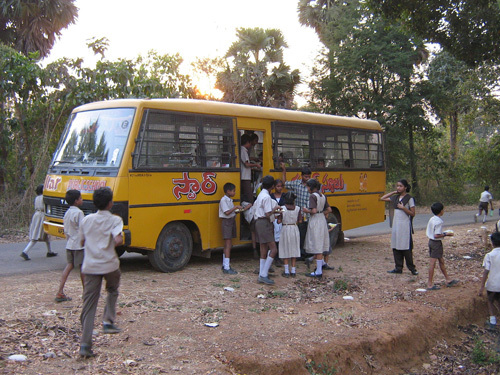 The children enjoy it so much, that even those traveling in school buses have begun forcing the buses to stop in front of our ashram on their way to school, so that all of the children on board can collect the snacks. 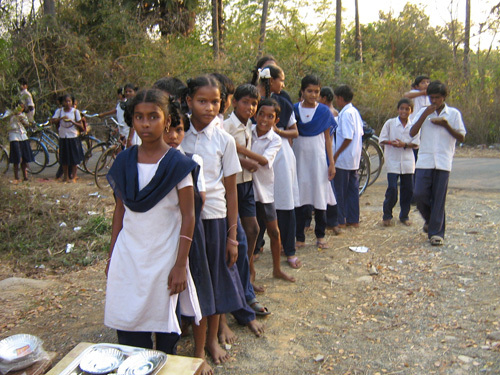 Now every single school bus that passes by, first stops at our ashram before continuing on to the government school. 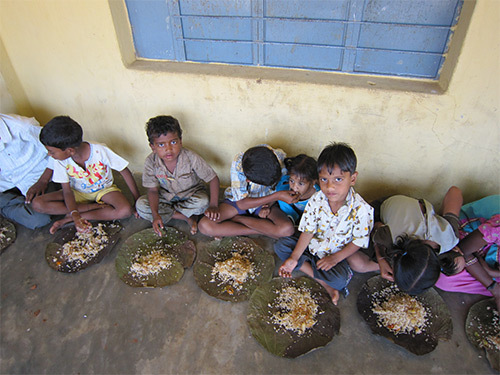 It is a spontaneous sign of how much the children appreciate receiving the spiritual food from the ashram in the morning.